Bob Shingleton: Hello. 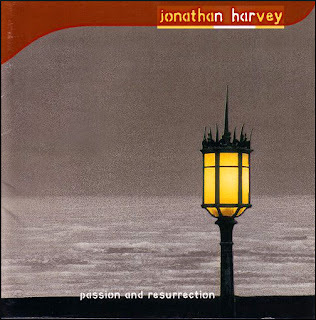 welcome to a very special edition of Chance Music, which comes form the Sussex home of composer Jonathan Harvey. Jonathan Harvey’s music is astonishingly diverse; it includes four string quartets and three operas. 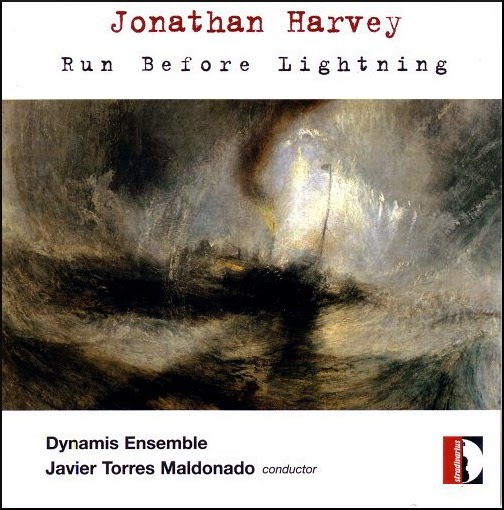 He has written a wide range of choral and orchestral works, and his new composition for large orchestra and electronics, Speakings, will close today’s program. 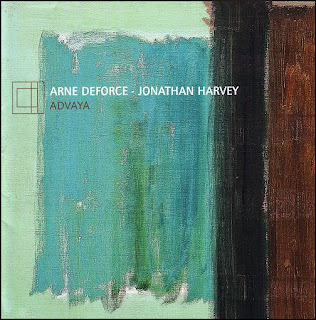 His music, which uses electronics extensively, is uncompromisingly modern, and he has said that the thought of composing tonal music fills him with dread. 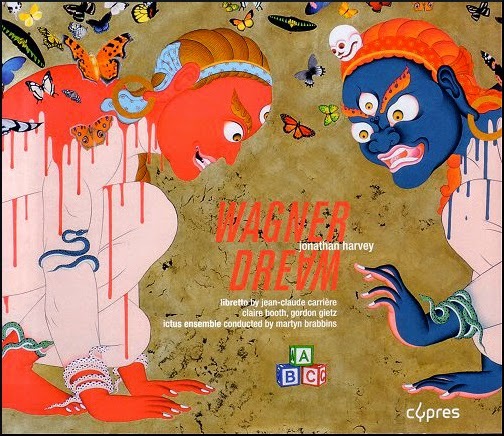 He has set many sacred texts, and Buddhist themes are found in a number of his works, including his new acclaimed opera, Wagner Dream. He has a deep interest in mystical religions, has studied Hindu philosophy, and says that in the 1970s he got into meditation ‘in a big way’. 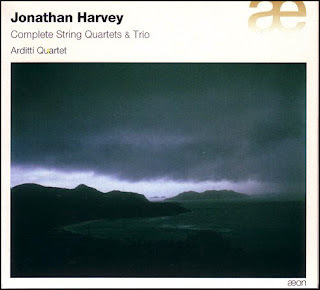 Yet, despite this intimidating pedigree, Jonathan Harvey’s music has reached a remarkably wide audience, and today he is one of Britain’s senior composers. If you search on Amazon, you will find more than fifty recordings of his music; his compositions have received eighteen BBC Prom performances, and his choral Passion and Resurrection was the subject of a BBC TV film. Jonathan Harvey, welcome to Chance Music. BS: Jonathan, there’s no standard career path for a composer. But your own career has developed in a particularly interesting way. I want to start by asking you about your teachers. 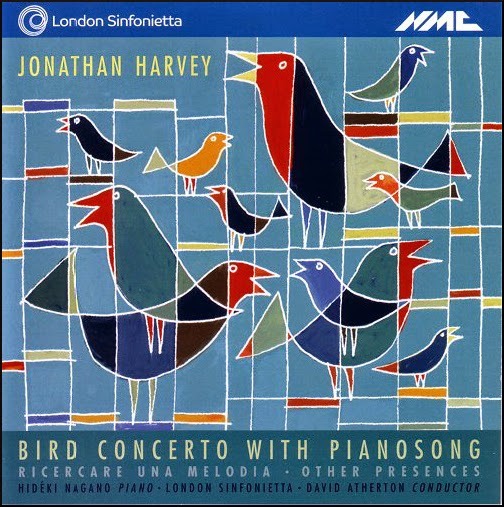 At Cambridge you studied composition with Patrick Hadley, for a short time, and that all ended in tears. Can you tell us about that? JH: Well, Paddy Hadley was quite a character. He had many eccentricities, and basically he was rather a pastoral sort of English composer. That was the tradition he loved, to the exclusion, for instance, of the Austro-German tradition, to a considerable and rather alarming degree. But that was also exclusive even more of the Second Viennese School – people like Schoenberg – which he completely, as far as I can remember, dismissed out of hand. And I was at the time going into these composers in quite a big way, and I remember how it ended in tears – you’re quite right – was that I produced a composition, and he made one of his characteristic reactions, which was sort of [sounds of papers being flung away], and one never knew quite how to respond to these things. Anyway. He pointed viciously at this note, and eventually explained to me that it was an ‘unprepared dissonance’. And for someone who had been studying Schoenberg’s music for some months, indeed probably about a year by then, I just couldn’t understand what he was getting onto. And he had had probably a little too much whisky; it was probably half past ten supervision, as far as I can remember, but nevertheless he was in a slightly ugly mood, bless him. And I just got up and walked out, shut the door rather loudly, and I never went back. BS: Right. And your first real teacher, the teacher that made an impact on you was actually Erwin Stein, who interestingly, wasn’t actually a composer in his own right. And Erwin Stein was suggested by Benjamin Britten. You met Britten first at Repton, I think, and then afterwards at Aldeburgh. What are your memories of Britten? JH: Well, very strong of course, although I didn’t see him that much. I went to Aldeburgh a few times. As you say I was introduced at my school, then Britten very kindly said, ‘well, send me some of your compsitions,’ and then when he saw them he said, ‘come over, and we’ll have a chat about them.’ He always said, ‘I’m not a teacher but I’d be interested to see your work, and I will help you, I’ll find a teacher for you.’ Anyway the days at the Red House in Aldeburgh were spent playing tennis, going for a swim, meeting rather distinguished people at his house, and so on. So that was an absolute delight. And of course he was a wonderful teacher. Brilliant. And he could tell immediately what was going to work, or what was not going to work, what would be effective, and what not. And that was an enormous help. As a person he was intense, I would say. I mean full of fun, very witty – quite often caustic wit, as you can tell from the opera characterisations. He loved gossip, he loved talking about people, but there was also this intense side of him, this sort of – everything mattered, particularly in music, to a degree I think I’d never met before in anybody. The importance of it – one sensed that. Well, he was very encouraging, and he found Erwin Stein for me, and that’s how things for me really started. BS: And after Erwin Stein died, in 1958, you studied with Hans Keller, who was also recommended in fact by Benjamin Britten. 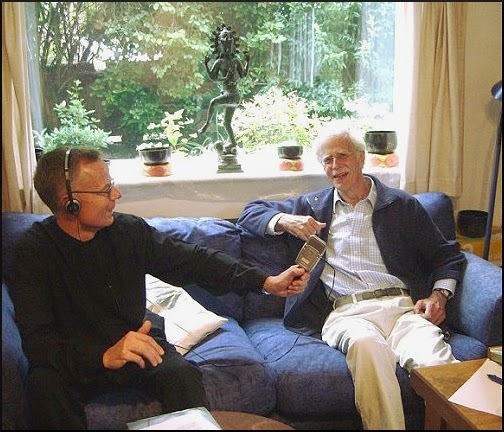 Now Hans Keller is remembered today as a broadcaster and musicologist rather than as a teacher. He’s also remembered as the perpetrator of the notorious Piotr Zak hoax, on BBC Radio 3, which famously poked fun at avant-garde music. What was Hans Keller like as a teacher, and how did he influence you? JH: Well the hoax was quite typical. He and Susan Bradshaw did a sort of avant-garde-style improvisation. And everybody knew that Hans was a stickler for strict structure, deep thinking in music, and so on. And so the critics all gave it a, well, a fairly good review, anyway. 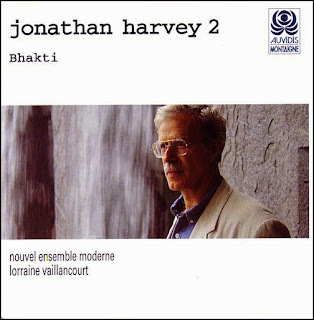 And for Hans this proved that the avant-garde – probably the generation of Stockhausen and Boulez, and the many adherents to this aesthetic who were less than geniuses – were really barking up the wrong tree. They were just jumping onto a kind of chaotic bandwagon where anything goes. And Hans taught quite a simple fundamental precept, that music must be coherent, it must work against a given background. And at every moment you must be aware that it is a transformation of what has gone before. It mustn’t be chaotic, meaningless, ‘so what’. Everything must have that intelligible line. He actually always had the same philosophy for his performance coaching, which he became very famous for: unless a performer feels this in his Haydn or his Brahms, he won’t perform well. Feels what the composer went through when he changed the pattern, and it was a moment of importance for the composer, because he went beyond what’s already in the past, of what the piece has already done. So that was quite a simple precept, but very, very fundamental, and he would apply that to my music that he looked at as we sat in various pubs near the BBC in London, and we got drunker and drunker – he was a delightful man. I mean quite authoritarian, but he loved to laugh, and sometimes he would say to me, ‘Jonathan, you have not yet contradicted me.’ This is one of his most severe rebukes. So we had a lively time, and he kind of psychoanalysed me, because he was a psychoanalyst in Vienna. And his approach to the excitement of music, the emotional authenticity, was one of the big things I learnt from him. BS: I think he effectively psychoanalysed your scores as well, didn’t he? That was his approach as a teacher, I think. JH: Yes, you could say that, in terms of the psychological reaction he had as a listener. He could read scores brilliantly of course. So he was a listener, when he read my scores, and he would tell me how he reacted. ‘This is banal; I could predict this a thousand miles off,’ and things like that, he would say. BS: Hans Keller’s approach was fairly unconventional, but up to that point, it had been a fairly standard training that you’d had. But then in 1966 you met Karlheinz Stockhausen in Darmstadt and three years later you started your book about his music. You’ve said that discovering Stockhausen was a ‘very heady thing’. Can you explain what you meant? JH: Well, being in Britain at that time was to be rather insular. Insulated from the extraordinary things that were happening with Stockhausen and Boulez and Nono and Berio and so on. Really it’s hard for people to understand now but we knew very little of what these composers were doing. And even so a lot of the works of Stockhausen are not well known now. Particularly of the earlier period. But yes, the recordings came over, the broadcasts were given, by the BBC sometimes, and bit by bit one got to know about them, and then I went to Darmstadt, and saw him lecture, and heard a lot of his tapes, a lot of his performances, for a week or two, and realized that this was like another planet. Music was never like this, that I had heard before. There was a kind of release from conventional time. And I heard the piano pieces particularly played by the Kontarsky brothers. Up to that point there were eleven of them. And the way they move through time with long silences, and extraordinarily intense fast passages, and everything in between. The structuring of the ‘in between’ so that the whole field is kind of covered, but not in the linear fashion that one expects from music. By the time the piece is finished you have a sensation that you’ve looked at a symmetrical, harmonious universe – but you can’t really trace a straight line through it. BS: You’ve summarized Britten’s personality as ‘intense’. How would you summarise Stockhausen? JS: Again, intense. But quite different from Britten. He was much more arrogant, really. But that’s the negative side; on the positive side he was just a visionary, someone who was far less modest than Britten. Britten wanted to make music for amateurs, as you’ll know, and make music which would be useful to people, which they would enjoy; Stockhausen couldn’t care less about that. He wanted to make music of truth, music which reflected the divine order, which reflected his visions of the nature of the cosmos, no less. And the fascination of him was that he was both very technological – he learnt all there was to be learnt about time from the electronic studios – and very spiritual. He had this sense that the universe was a spiritual place, and that God was everywhere, that God had created it, perhaps, and the reflections that art makes of this universe should be aware of that. BS: And then it all changed again. In 1969 you went to America to study with Milton Babbitt at Princeton University. Now Babbitt was an important figure in the development of serial and electronic music, yet his name is much less familiar than Stockhausen’s. Why do you think that is? JH: Babbitt was famous for writing for a certain type of listener. He never claimed really to write for everybody. And this was his undoing. That everybody expected him to write music for them. But he said, ‘you know, why should music – most of us are in universities, in the States, who are interested in complex music, but maybe we should just write for our sort of elite, the way mathematicians send incomprehensible equations to each other. You know, what’s wrong with that?’ And he has a point, absolutely. So his reputation has somehow been branded as an elitist, which is totally unfair, and in this country he’s been dismissed. In the States, as I say, particularly in the university culture, he’s held in very high regard in many places. BS: Do you think Milton Babbitt’s time will come? JH: I hope he will have more of a recognition. I’m not sure that I really enthuse deeply about the music. I find it fascinating, but it is very much a music of structure, and a structure that’s difficult to hear unless you’ve spent quite a long time getting to grips with it. It’s like the most recondite music of Bach in a way. But it may come. I think it will come, actually. Much more. 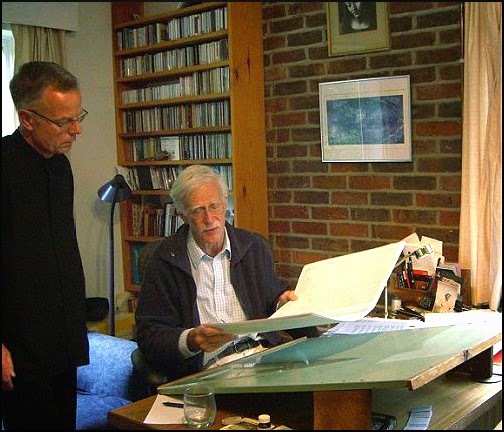 BS: You said that Milton Babbitt’s music was inaccessible, was structure – both Hans Keller and Benjamin Britten had a healthy cynicism about the extreme avant-garde and the kind of music that Milton Babbitt was creating. What were their reactions when you went to study with Babbitt in the States? JH: Both of them were not very approving. BS: That’s putting it politely, isn't it? JH: Yes, yes. Yes, Hans Keller made some characteristically caustic remarks. But in a way I think he thought it could be an interesting and broadening experience to meet all sorts of American composers, as I did – not just Milton – and Britten, well he just thought it was the wrong direction for me. I think he was a little bit more sympathetic, or you know, he took me quite seriously, he really believed he wanted to help me, it was his task to do the best for me. And perhaps he felt he had failed a little bit in that I chose to go off to Milton Babbitt. BS: Did he see the error of his thinking? JH: That’s a complicated question, because although I kept more or less in touch with Britten until his death it wasn’t close and I didn’t show him many pieces. But he certainly thought, things I did show him in later years – that my music was a little too – I don’t know whether ‘academic’ is the word, but a little too lacking in immediacy. By his lights I’m sure that was correct. BS: Jonathan, so far we’ve talked about purely musical influences on you. But extra-musical influences have also been very important on your development as a composer. One of the extra-musical influences was the Austrian polymath Rudolf Steiner. Today Steiner is best known for the many schools based on his educational principles. How did he influence you? JH: I read about forty of his books. He was an extraordinary man. He used to lecture apparently nearly every evening of his mature life, in a different place, and he always had a faithful dictation lady who would scribble it down, and so they are published. And they amount to forty or fifty books, a series of lectures, and they’re all different. That is the remarkable thing. They all bring something new, each evening. So I immersed myself in Steiner, and the effect was to really deepen the possibilities of life. A little bit like a scientist telling us about the atoms and the molecules behind the table and the piano that we look at. Steiner showed that the whole of life is based on energy, and not only energy but energy of certain character and colour. And he could see these colours with the auric vision that he had, the clairvoyance, and he could analyse people that way, like insight into people’s personalities; he could analyse illness, but he could analyse material substance. And not only that, but he had a lot of theories about the afterlife, the nature of what happens after death, and he was in the Buddhist tradition of course, of reincarnation, and what happens in between death and rebirth he explained in great detail. The fascinating thing is a lot of these details were artistic, in the form of colour, and musical, in the form of sound. So he would explain what it is like to be dead in terms of sound. And that’s quite mind-boggling. Of course, I don’t know whether it’s true or not, but I know that Steiner was a man of great integrity, so I read what he says with a feeling and the instinct that a lot of it could be true. And I’ve come across nothing in life to convince me that it is untrue. So that’s how I stand with Steiner, and how he began to influence my thinking about sound, and the fluidity of the world. Everything merges into everything else. Everything is impermanent, as the Buddhists say. Nothing is fixed and solid. BS: Rudolf Steiner founded a new spiritual movement with links to Theosophy, which brings us on to the topic of Buddhism. I mentioned in my introduction that Buddhist themes recur in your music. Is it fair to call you a Buddhist composer, or is that too neat a pigeon-hole? JH: All artists I think try different paths. They constantly change, and they have their ‘this’ period or their ‘that’ period. Now I’m not saying that the Buddhist thing is my ‘Buddhist period’. I think it goes back rather longer than that. I came across Buddhism perhaps after Steiner, but even before that, when I was a student at Cambridge. But I was never really wholeheartedly into it. So I’ve been Buddhist most of my life, but the Buddhist period would be quite recently if you looked at the titles of my music and the explicit musical themes – maybe ten or fifteen years. And I don’t mind being called a Buddhist composer. But like all artists I don’t like being called only a Buddhist composer. So of course it’s a subject I could expand on for a long time, about what being a Buddhist composer is, but that’s another story. BS: Jonathan, turning back to your music, back in 1996 you said in an interview, ‘Serialism has crashed. It was supposed to transform structure, but people could not get any further.’ We’re fourteen years on from that statement; have your views on serialism changed? And how do you view the other fashionable music ‘isms’ that have come along? JH: No, my view of serialism hasn’t really changed; it is of course a matter of how well the composer deals with serialism. Serialism is a tool, and some composers can use it very well. Stockhausen I think extended serialism to include everything; just before he died he was working on serial fragrances, and sending those into the auditorium in serial form. And he designed his house, which I’ve been into, in serial form – a fascinating structure. So he extended serialism far beyond the twelve notes. And in a way, serialism has a very fundamental point, that you arrange something in a certain way, and that can then expand to anything. The first serialists which I was really talking about when I said serialism has crashed, were the ones who just used serialism for pitch, or mainly for pitch, and then there would be a conflict of interest between non-serial thought and a serial kind of hoping-to-tie-it-all-together spirit, which to my mind crashed completely. And a lot of composers continued to write that until recently, but they still do, and I feel it’s dangerous. BS: In Arnold Whittall’s 1999 book about you in the ‘Composers of Today’ series, he spoke about the appeal of music that integrates the linear styles of past centuries with the global music of the 20th century, which resonates with the popularity of world music. Jonathan, looking today from the second decade of the 21st century, how do you think that integration between the linear styles and the global styles has progressed? JH: And world music, and that’s another question. The influence of what we can buy in every record store, or hear every day on the radio, is bound to be enormous, obviously. None of us would probably be claiming to be free from that. For me, it’s come via the cultures whose philosophy and spirituality I like, or [that] have deeply influenced me, like Hinduism, or Tibetan Buddhism, so those two musics have been very influential on me, and I have even been I think noticeably influenced; people talk about my tabla imitations on the cello, a work like Advaya, or One Evening, where I recorded electronically tablas and treated them in all sorts of ways; so those are examples of Indian rhythm structure. And my opera Wagner Dream takes an Indian subject, which took place in India at the time of the Buddha, and that uses the drone instruments, or electronic imitations of them, or even recordings of them, through much of the music. And it has similar taal rhythmic structures, taken from Indian music. BS: Staying with global cultural influences, in 1966 you set a poem by the Sufi saint and mystic, Mawlānā Rumi. 'How could the soul not take flight' is inspired by the ecstatic vision of Sufism, and that’s far removed from the contemplative Christian text you set fifteen years earlier, in your Passion and Resurrection. Can music cause spiritual elevation? And taking the discussion further, into the esoteric realm – and in fact I think you touched on this, when you were talking about Rudolf Steiner – can music transform matter? 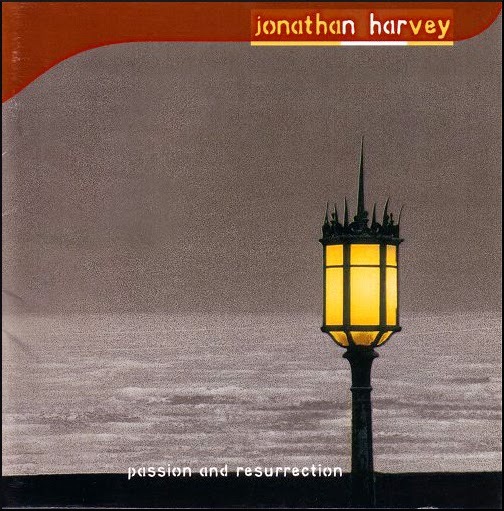 JH: Yes, let’s, first of all, look at spiritual elevation – I think I’ve always believed that, even in Passion and Resurrection, the resurrection music is for me a new sort of music that I wrote, which is not bass dominated, it’s sort of centred around the middle and it floats from the middle, either side of this middle structure. And that for me represents the change of the world, at the time of the Resurrection, and the elevation there, the release from gravity, of Christ rising. So I think that’s been there all along, with my Sufi settings and many things – a release into a world of ecstasy – this is what music does. And the question of whether music can transform matter is a very big question. We all know about the soprano shattering the wine glass. It’s all vibrations, I mean music and the world, everything is oscillation. Energy is oscillation, largely. And when we say we are stirred by a piece of music, we’re excited, we are moved, and so on, we’re talking as if we are like a tuning fork which has been struck by some music, and it’s continued to vibrate for some time, and then it stops vibrating and you’re no longer moved by that experience – it may last a few minutes or a few hours or a few weeks. It depends on the intensity of the striking. So music is always putting us into vibration. I was talking to a neurologist who’s done very interesting, hyper-sophisticated brain scans, for people listening to music, and she has published results showing how the neurons affected vibrate in precisely the rhythm of the music being played. And if the tempo of the music being played to the subject changes, so does the neuron visibly change its firing tempo - this probably proves what we sense intuitively. But your question, ‘can music transform matter?’ – when we look at that computer screen and see this in the form of the matter of the brain being transformed by the music, it’s rather moving, and rather important I think. And the whole culture of music, probably from the very beginnings, has been founded surely on vibrating together, in a community, to a drum beat. We all begin to dance, we all begin to sing, in unison. This unison of a community of people has been profoundly important for the human identity. The identity of tribes and nations and groups. So at many many levels one can find music transforming the brain, and I think the material world. BS: Jonathan, let’s stay with that all-important interface between art and science, and then move on to electronics. Electronics – or, to be more precise, electro-acoustics – play an important part in your music. We’ve heard how your love affair with electronics started with Stockhausen and Babbitt, but it was really consummated during your period in the 1980s in Paris, at IRCAM, with Pierre Boulez. You’ve described your time at IRCAM as a ‘gift from God’. Can you tell us about that gift? JH: Well, Boulez is sometimes called god in Paris, but anyway, he gave this thing to the world, because of his powerful personality, his absolute determination to come back to Paris from Germany, where he had decided to live until that point, and if he came back to Paris, President Pompidou would give him a large budget for creating a new institute. So it was a sort of gift to composers. I thought it was a gift from God because my first essays in electronic music were so difficult – I started in Princeton with Babbitt, and I won’t go into all the complications but in short one would compute on a huge tape for about eight hours overnight and end up with one pathetic simple minute of sound, which probably was completely wrong and one would have to start all over again. One went from that to the IRCAM of the eighties, and there one was given a tutor. That was very important. Someone who knew all the ins and outs of what was available, the software and the hardware, and was designated to help you. That tutor, or assistant as it’s now called, was crucial, of [sic] Boulez. So composers were invited, and they got stuck into new thinking, with the help of their tutor, and began to create much much more easily, with much greater pleasure and delight, than they would in this incredibly bloody hard work they had to do before. BS: Jonathan, you gave us rather beautiful summaries of Benjamin Britten and Karlheinz Stockhausen as creative personalities, and now Pierre Boulez, another one of the great creative personalities has come into the discussion. Can you give us a thumbnail of Pierre Boulez as a creative personality? JH: Well, as you say a very strong creative personality, and a strong personality, and that’s what that postwar movement needed, strong personalities, people who would really change the world, they were all strong personalities. Luigi Nono, too, and Luciano Berio. Boulez particularly, perhaps the most of all – he was able to change the politics of the musical Europe I would say, singlehandedly. And he did this of course against enormous opposition, and nasty things written about him everywhere. But he was too strong for them, you know, they didn’t affect him, they all rolled off his back, and he gave as good as he got. So I think everybody knows what he has done, he created the IRCAM, he created the Ensemble Intercontemporain, he’s created new standards in conducting the 20th century classics and later up to the present day, and of course last and not least at all, he created some of the finest compositions of the time. But if we’re talking about strength of personality, one has to admire him really, that he was so determined, and so – it’s so impossible for him to accept ‘no’ from politicians. I mean he just rubbished them, the feeble-minded ministers of culture and so on in Paris. So – would that we had someone like that! BS: Staying with the influence of Pierre Boulez, electronics have allowed you to explore the technique of spectralism. This breaks sound down into its constituent components. Many listeners will not be familiar with this technique, so can you explain how it works, and particularly what opportunities it offers you as a composer? JH: One of the things that spectralism has done is to replace serialism, and intervallicism. By that I mean working with intervals as the primary listening object. How intervals follow each other and how they make patterns, whereas spectralism is more about harmony. And it’s based on the study of the harmonic series, the acoustically natural phenomenon which you find in most instruments, and of course its transformation. Because we’re living in an electronic age, and we can do whatever we like by computer, we can do whatever we like to music in the microcosm. We can get into the structure of music and change that. So the harmonic series can be, as it were, stalled by the computer for any particular instrument – my favourite trombone, or whatever – each one will have a slightly different harmonic series for each note it plays. So it’s very particular, and that series can then be manipulated, either printed out in numbers, which can be then orchestrated, or it can be replayed as partials, which are then transposed a little bit. So if you take the seventeenth partial, and you want to make it a bit lower, you can do that on the computer – that is spectralism. What the beauty of that is, is less easy to describe. But I would say spectralism is basically a colour thinking. At its broadest it’s just colour thinking. Going the direction that someone like Debussy pointed, where you work primarily with mixing colours and making extraordinarily subtle blends of colour, which perhaps have never existed before, and that is the way you think and structure music. It doesn’t just take the argument of a good melody and then you colour it, it starts with the colour, and then it might make a melody of colour, but it starts at the other end. BS: I said at the beginning of the program that your music has reached a remarkably wide audience. I think it’s also true to say that you've achieved this without artistic compromise. Jonathan, we live in an age where compromise is expected, or even demanded, of the arts. For instance we have classical chart radio, and classical talent shows on television. From your position as one of our senior composers, how do you see the future for what Pierre Boulez described as musique savant? 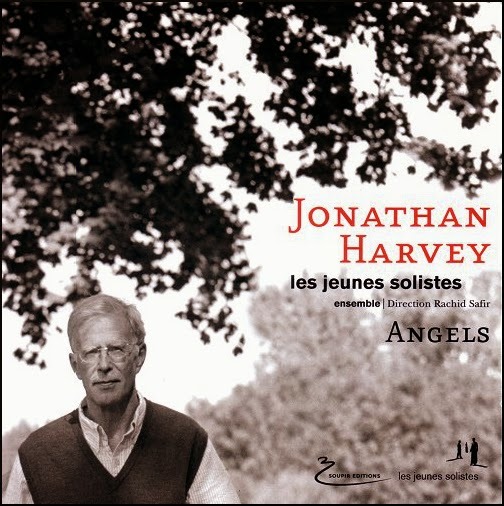 JH: Musique savant is quite an often used word in French, actually – it means I suppose ‘learned music’. And it’s something they talk about in a way we don’t. I think it offends our democratic instinct, or something. I don’t know. But it’s taken for granted that if you go to a conservatory or if you study music you are getting into learned music. So part at least of what you will study requires the same sort of learning you might apply to science or to any other subject, where you have to go into so-called intellectual complexities to some degree. Anyway, that is not necessarily the only thing that – that is an element of the future, that we have to worry about. Music is I think broader than the description I’ve just given of musique savant. But it is of course a very refined music, a music which composers of our generation – and of every generation – have studied and worked ten hours a day for fifty years to develop, and it’s very sophisticated. We have created wonderful concert halls, which are very silent – you can hear the softest sound, and they sound good with the loudest sound of the full orchestra, an almost chaotic complexity – and we expect this. On the other hand the future, young people today, the mass of young people, don’t like concert halls, or not until they’ve been converted. They wouldn’t normally go to one, except for amplified music. They have no concept of what it is to hear music as soft as a pin dropping, and that kind of delicacy and refinement. So there’s a big divide between amplified music and non-amplified music, and the two cultures. I think what the future must bring is things which are considered blasphemous, like amplifying classical music, in an atmosphere where people can come and go, where they can even talk perhaps, and it wouldn’t be sacrilege, and they can certainly leave in the middle of a movement if they feel like it; these are the sort of situations where young people’s music takes place, and it’s of course not expecting as much of music as those of us who are musicians would want. But it is a kind of compromise that I think will have to happen, and if it happens, I think young people will really realize what they’re missing. They’ll realize that they’ve been stupid to be so sort of afraid of the concert hall and its demands. So that’s one vision of the future; I think nobody should be deprived of classical music, least of all by rather silly conventions, which we all tend to think are sacred. BS: Staying with what you (I think tongue in cheek) called ‘blasphemous technology’, in a little while we’re going to hear a work from a new CD of your music, and that work is Speakings. It was composed in 2008 and is scored for large orchestra and electronics, which ties together some of the threads from this discussion. 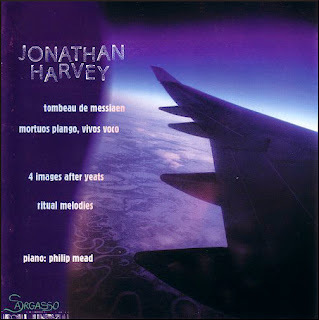 On the CD sleeve Jonathan you’re credited for ‘diffusion and sound projection’. Can you explain exactly what that means? JH: Well I’ve always been a performer manqué actually, although I enjoyed playing the cello when I was younger, quite a lot, in public. But to diffuse the sound is actually very important I think for a composer, because it means getting exactly right the relationship between the electronics and the players on the stage, which is no easy matter. Many an occasion has been spoiled by an imbalance – one or the other is too loud. If there’s a subtle ambiguity, perhaps you can tell which is the louder – or which is which, even more exciting – at many points in the piece, then that’s a good balance. In a work like Speakings to diffuse and balance the sound needs quite an inside knowledge into the piece because it moves very fast, things are changing all the time, different instruments are treated, they have to blend with, you know, twenty-three other instruments at the same level; all these things have to be familiar to the diffusion person. That’s one reason actually why I’m very keen to get recordings. Because once I’ve got the balance really beautiful for recording, which you can do in the studio over and over again, then there’s a sort of model for people to follow in subsequent years for the performance. Otherwise it is difficult for anybody but the composer to really know. BS: Speakings, which we’re going to hear in a minute, is on a new CD of Jonathan Harvey’s music, and it was recorded by the BBC Scottish Symphony Orchestra, as was his acclaimed 2008 disc, Body Mandala. Jonathan, you’ve written for many great orchestras including in fact the Berlin Philharmonic, but you seem to have a special relationship with the BBC Scottish Symphony Orchestra. How did that come about? JH: I’m still not clear why they chose me, but they did; Ilan Volkov had something to do with it, the young Israeli, brilliant, conductor. And Hugh Macdonald, who was manager of the orchestra, and who has always been very interested in contemporary music and very knowledgeable about it. So these two men I think in particular chose me, and I was delighted. I had always wanted to have a close association with an orchestra and this was the first time it happened, and it couldn’t have been happier. This orchestra prides itself on its ability and virtuosity in contemporary music, they’re really proud of it, and they come up to me and say, you know, ‘how’s it going? Were you pleased?’ and ‘I enjoyed doing this, I enjoyed doing that.’ Really enthusiastic, a nice atmosphere. It’s not so with all orchestras, I of course should add, but that certainly was a great pleasure and I think a great success. I wrote quite a lot of music, including Speakings, for them, and in all I think they performed about twelve works over the three years. BS: Am I right in saying that you played cello with the BBC Scottish Symphony Orchestra when you were going your PhD in Scotland? I don’t know if you forgot that, or whether you didn’t mention it through modesty. JH: No, I should have mentioned that – perhaps it was a factor in choosing me. But I don’t think it was, because I mentioned it and they didn’t seem to know. But yes, that’s right. I played in the very back desk of the cello section, and when I told the orchestra that at the first rehearsal I turned up at, they were quite amused. 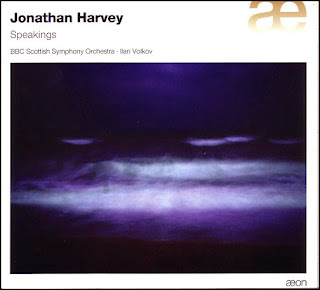 BS: My special guest today has been the composer, Jonathan Harvey, and we’re going to conclude the program with a complete performance of his Speakings for large orchestra and electronics, in the performance by the BBC Scottish Symphony Orchestra, conducted by Ilan Volkov. Jonathon, it’s been a great pleasure talking to you today, and could you please introduce for the listeners this performance of Speakings and tell them a little about the work. JH: It’s based on the idea of making an orchestra speak – and that doesn’t mean during a rehearsal. I’ve been fascinated for a long time with speech and music – the relationship between them, and of course song, and the nature of song – but more fundamentally than that, how musical speech is, and without going into song. And a lot of research has been done in linguistics and in acoustics, on the analysis of the human voice, the scientific analysis of the components of the spectral sound, and how this changes with the speaker. So I brought some of this research together, from the studio of IRCAM in Paris, and started to compose a piece which imitated speaking sentences, which I made up myself – nobody has been told what they are, but the orchestra seems to be speaking something like that – and on top of that I went much deeper and analysed recordings of speech taken from here, there and everywhere, off the radio, or recordings of poetry reading, or fragments of drama, arguments, men, women, angry, calm, whatever, and also a baby – baby sounds, which we start with – but the main movement sort of evolves from learning to speak, for a baby, into these adult rapid sounds, which are put into the computer and then these acoustic structures, which are fragments of speech, treat the orchestra as it is received inside the computer from the microphones. So the orchestra’s inside, and the speech is inside, and there’s a kind of treatment which marries them together, and the orchestra seems to speak as the sound comes out of the computer into the loudspeakers around the hall. The orchestra flickers with vowel changes, with bits of consonant percussion, often very rapid because speech is often very fast, and that gives an impression of the mad chatter of human life in all its different moods and emotions. So we have two levels there: the orchestral music, which itself is quite speech-like, and the real speech, which is colouring it. There are three basic sections: in the first one you’ll hear a baby screaming, the first sound we utter, and then babbling, and cooing, or I should say cooing first, rather gentle sounds, and finally babbling, which begins to become more like speech. That lasts three or four minutes. Then we get into the adult speech section, where speech is much more clear-cut and distant from music, in a sense; and I had the idea of purifying speech. 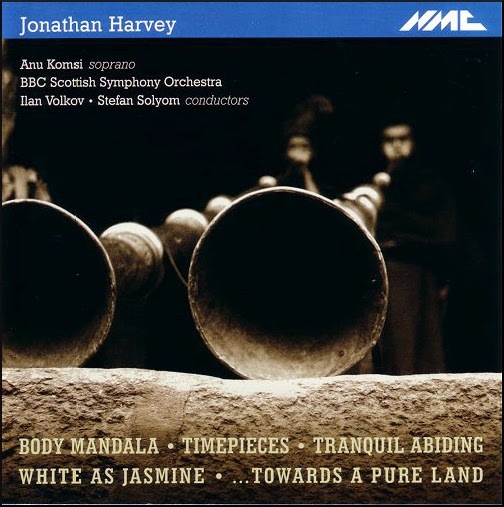 It’s part of a trilogy of orchestral pieces in which the purification of body, speech and mind, the traditional Buddhist ceremony, is performed. So this is the central purification of speech, and the mantra ‘Om Ah Hum’ is traditionally the womb of all speech, out of which all speech originated, so this is chanted by the orchestra, via the computer – ‘Om Ah Hum’ – over and over again towards the end of the central movement, as it were purifying the nature of the random, scattered speech. And then the third movement itself is a different kind of music, which is almost song-like, like a plainchant. Again speech inflects it, but it’s much more transcendental, much calmer, almost song. So that is a kind of symbol for purified speech. My aim then was this Buddhist ceremony, which I witnessed in Tibet, and the music is my attempt to do something which I believe has not been done before, to use very new programs from IRCAM to really try to see how an orchestra can learn to speak, how it can evolve from just playing instrumental sounds to the next step in consciousness - speech. Hello Bob. Health problems have kept me offline for many months now, so I've been catching up on all that I've missed on Overgrown Path, and I'm still at it, happy as a clam. It's a slow process, for few of your longer pieces do not benefit from reading twice. But I want to thank you and Timothy Stevens for this interview, which I realized I was going through at a high rate of knots. For this, I think, two reasons: firstly, your questions, which have a line as clear as one hears listening to Solomon play Mozart, and second, Harvey's ability to convey so much in so few words, a quality befitting a Buddhist. Fascinating stuff. Thank you indeed. Working on this was a delight. Thank you Bob & Timothy for putting this online. A fascinating read, wonderful interview from both sides!